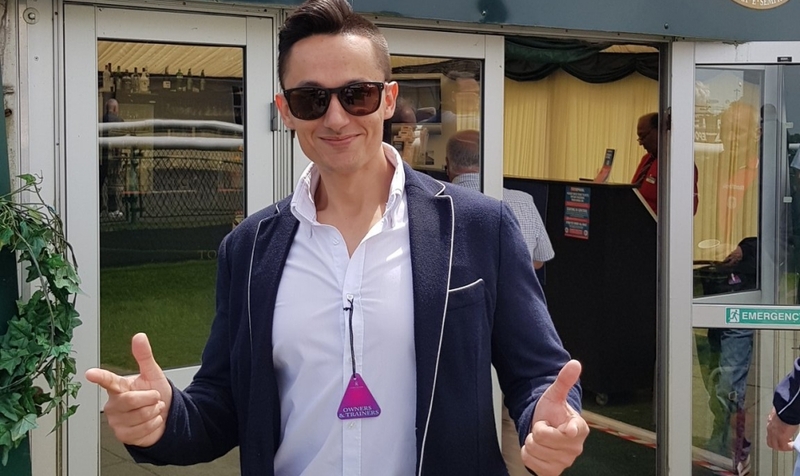 30 DAYS, 30 BETS, 30 x £100 BETS: We’ve challenged the Racing Blogger to win as much money as he can for the Injured Jockeys Fund during June. 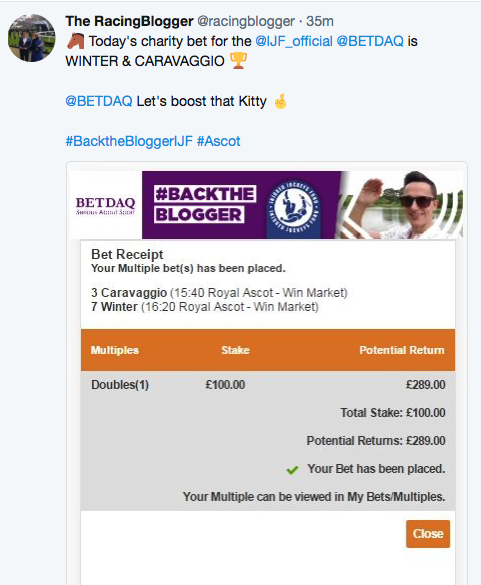 Racing Blogger (@racingblogger) is getting a £100 BETDAQ bet each day in June and we will be recording his bets below – starting today. 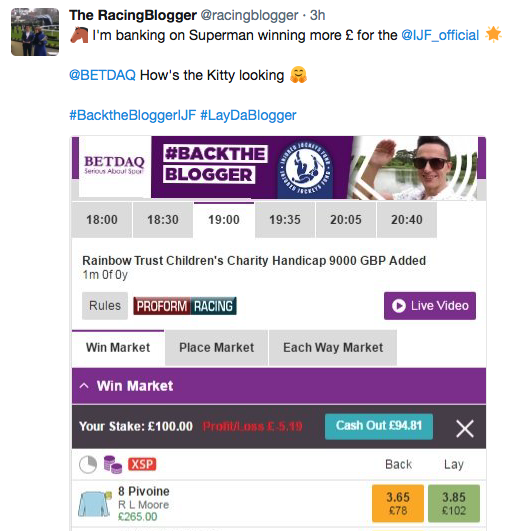 We will be keeping a rolling score on the bets placed over the next 30 days by Racing Blogger to see how much money he can win for this great cause. The @racingblogger gives @trevdaq his NAP today at The Curragh! The @racingblogger has gone through today’s cards & selected his NAP with @trevdaq! Since then the Fund has helped over 1000 jockeys and their families and has paid out more than £18m in charitable assistance.